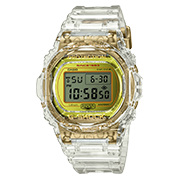 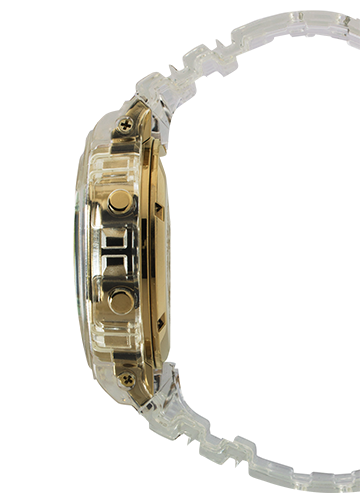 New G-SHOCK limited edition skeleton collection boasts a unique translucent band and bezel as well as gold IP accents on the dial, buckle, band keeper and case back, which also display the G-SHOCK 35th anniversary logo. 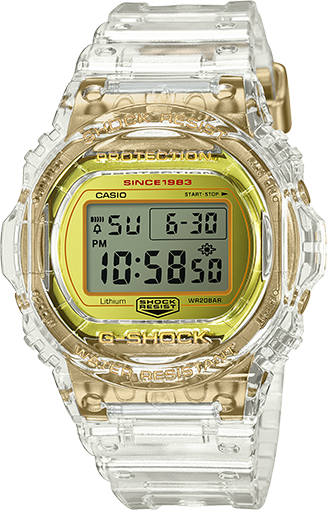 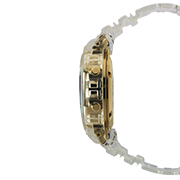 Nodding G-SHOCK's 35th anniversary, the new skeleton models feature some of the classic and iconic case designs. 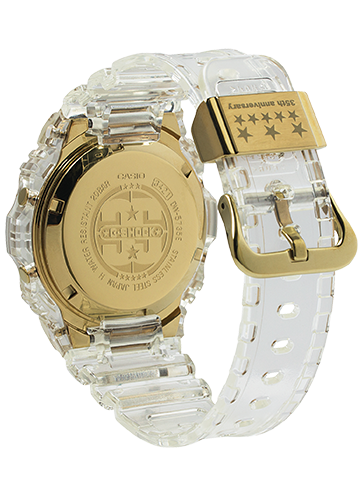 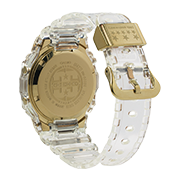 This model is built with G-SHOCK iconic brick pattern on the display, making it a must have vintage timepiece.